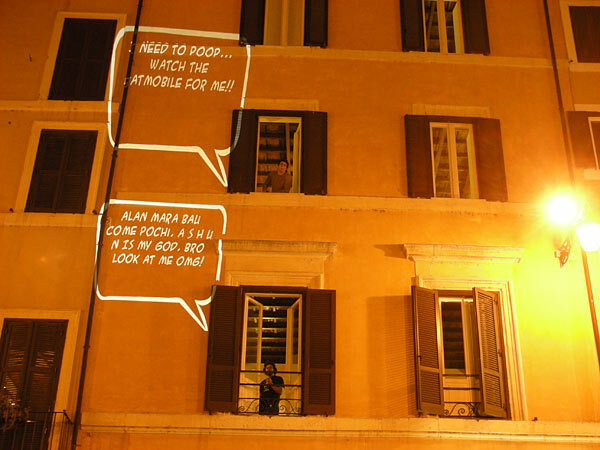 Night 2. 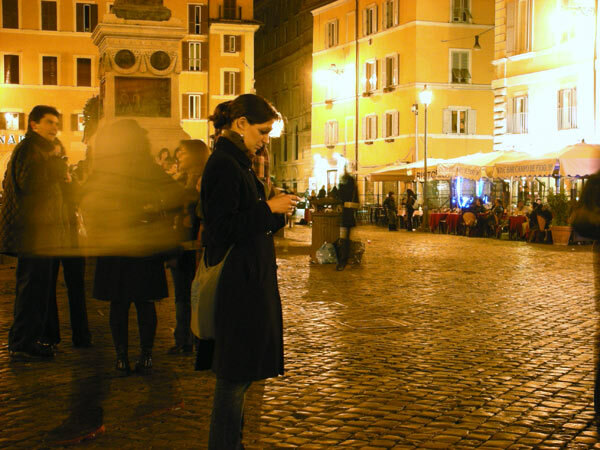 Fabio and I hit the famous tourist hot spot Campo De Fiori. 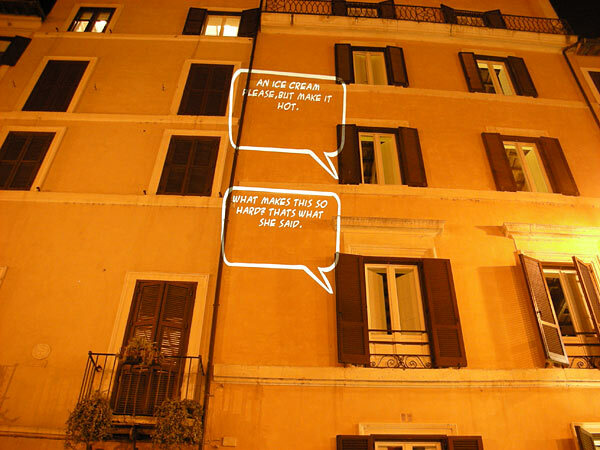 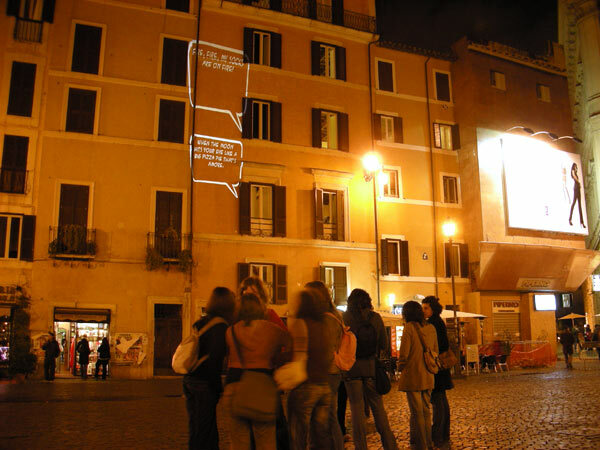 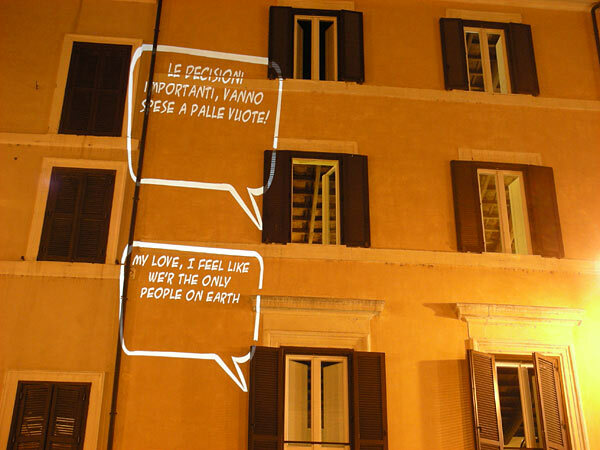 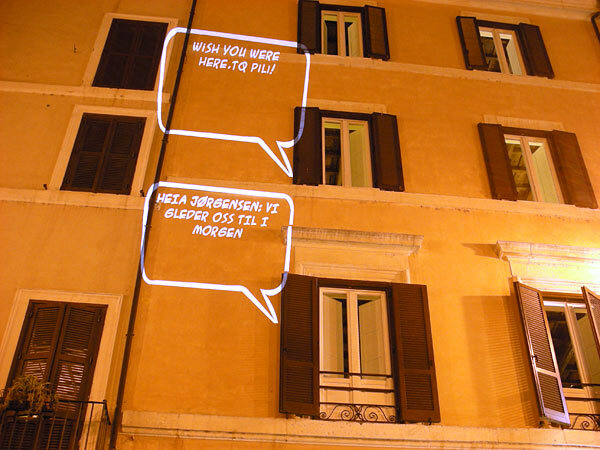 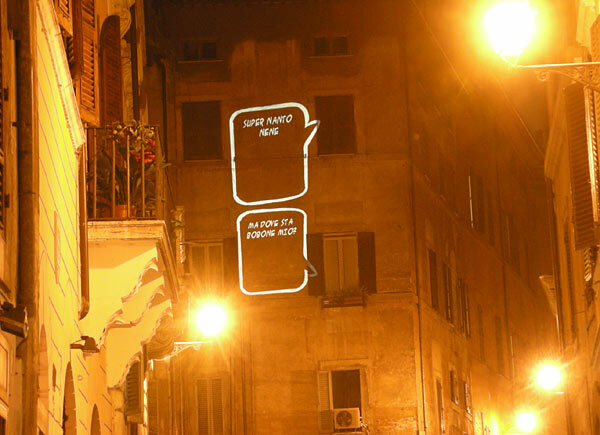 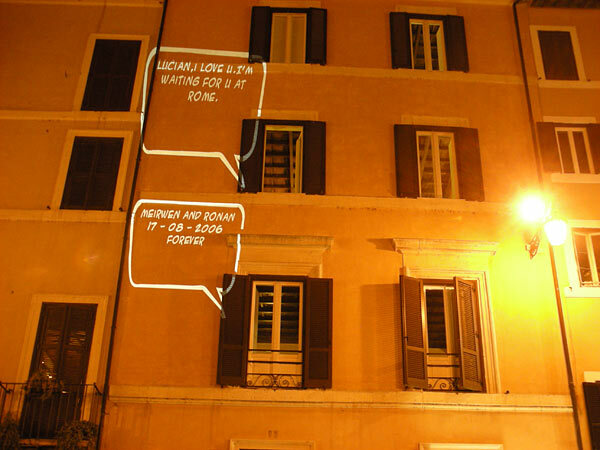 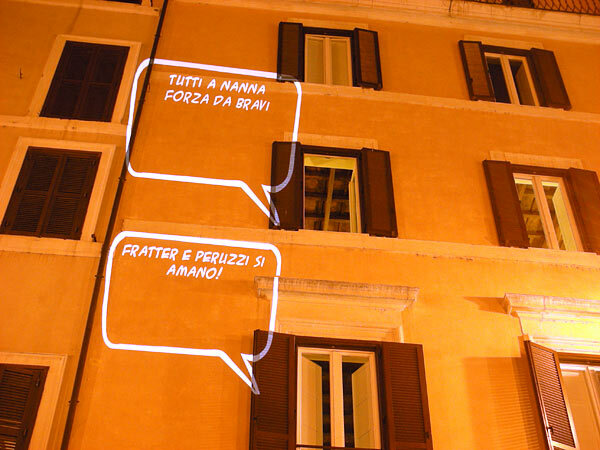 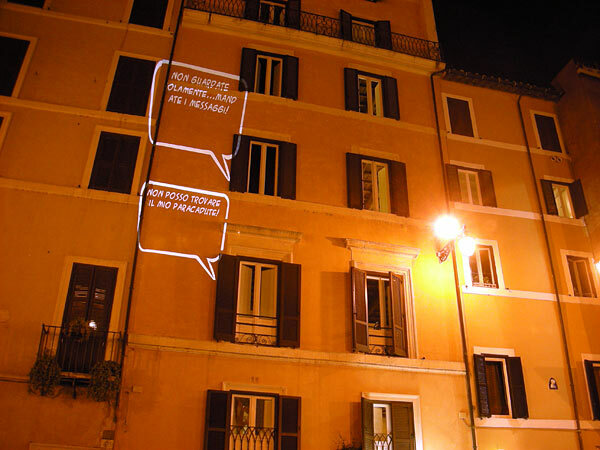 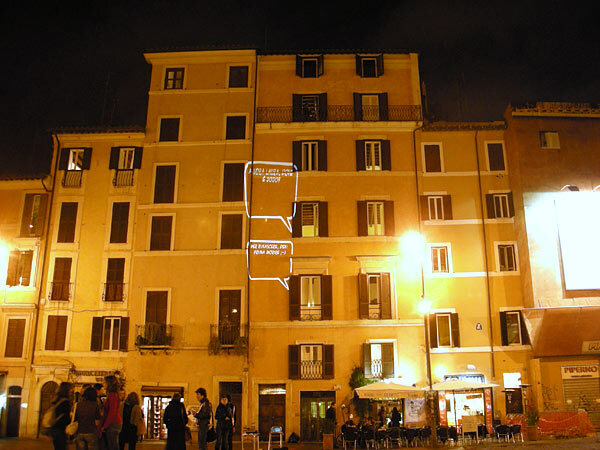 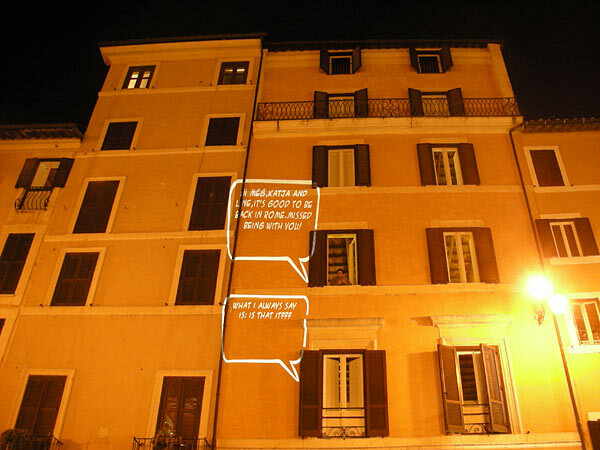 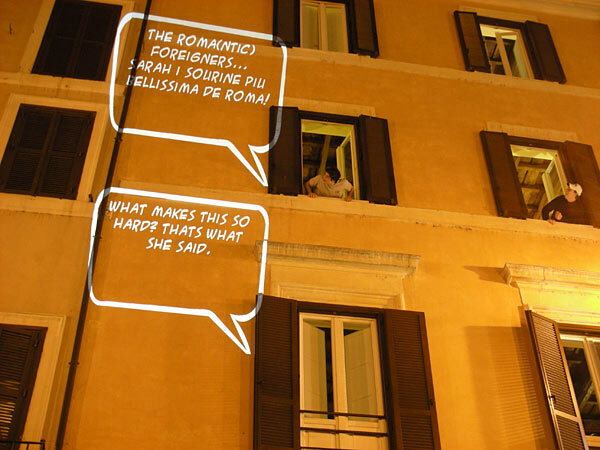 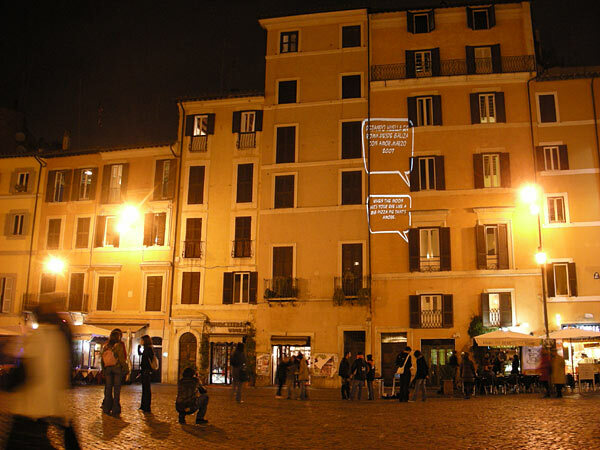 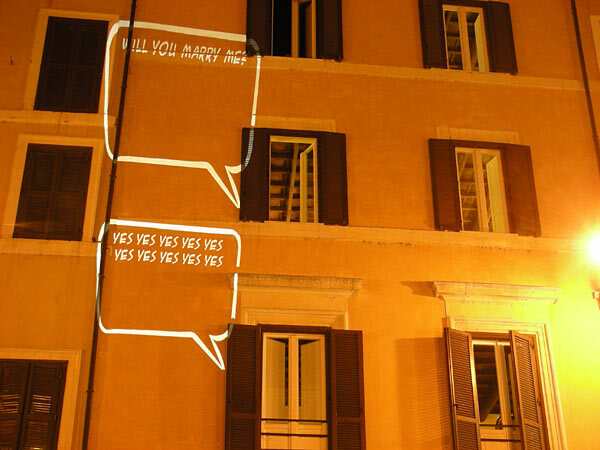 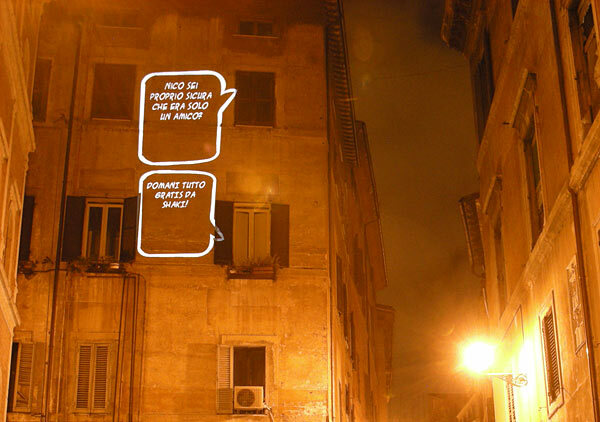 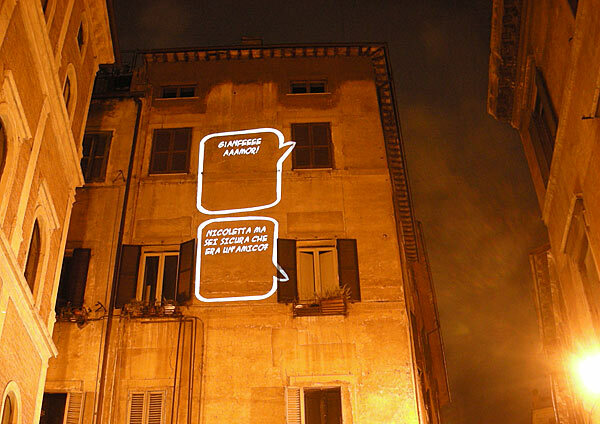 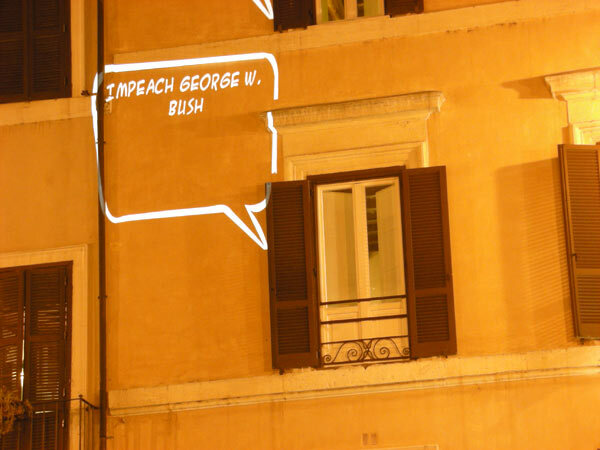 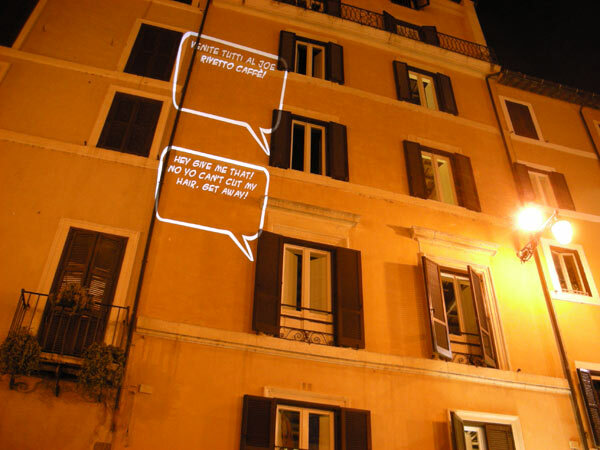 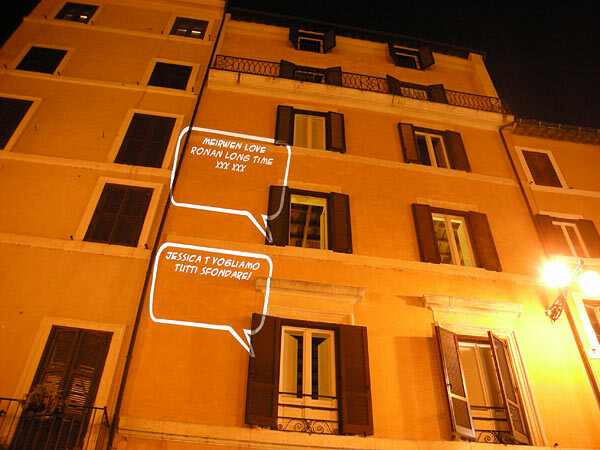 Using electricity from a local restaurant we projected onto a building used by american students studying in Rome. 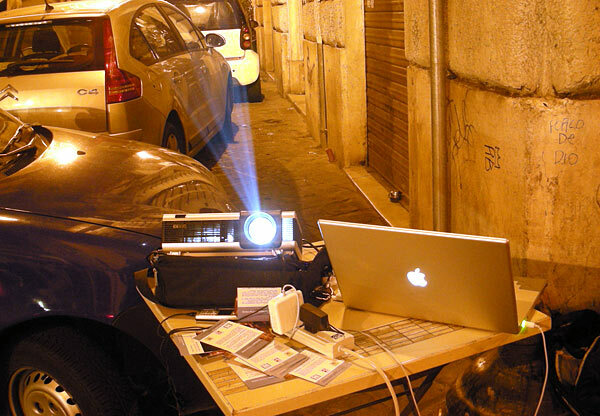 We also hit some of the back alleys of the area.